The process of menopause brings myriad changes to a woman’s life, including a shift in focus for her routine gynecological care. 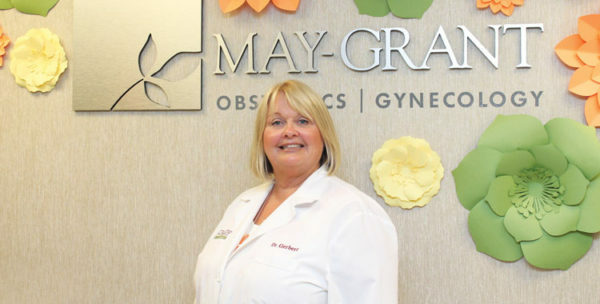 BusinessWoman spoke with Dr. Kathleen Gerbert, of May-Grant Obstetrics & Gynecology in Lancaster, about the ways in which gynecological care changes both during and after menopause, which occurs on average at age 51, Gerbert said. As women mature, however, the yearly exam changes in focus but becomes no less important. Osteoporosis affects about 25 percent of women aged 65 and over, according to the Centers for Disease Control and Prevention. Bone density is best diagnosed through DXA scan, a 15-minute, painless test. Women at higher risk for osteoporosis should begin regular testing between ages 50 and 65, and all women over age 65 should be tested. Low bone density is a major factor in fractures of the hip, spinal column, and other bones. Poor balance and decreased strength contribute to risk of falling and, therefore, are risk factors for fractures. These are important factors that should be addressed in the menopause years. Linked to low bone density is vitamin D insufficiency, another condition your OBGYN will be on the lookout for as menopause commences. Produced by the body in response to sun exposure or consumed via food or supplements, vitamin D plays a number of important roles in the body’s functioning, including aiding in the absorption of calcium, magnesium, and other minerals. Vitamin D also supports the immune system, brain, and lung and cardiovascular health, among other benefits. Determined via a simple blood test, vitamin D deficiency can be treated with various supplements, some of which are long term and may require a prescription. When it comes to alleviating the bothersome symptoms of menopause — hot flashes, night sweats, mood changes, and sleep disturbances — your physician may recommend the use of menopausal hormone therapy, or MHT. Depending on your preferences and needs, MHT can be administered via pill, patch, cream, lozenge, or a combination of those methods. MHT use saw a steep decline in the 2000s after a 2002 Women’s Health Initiative Study linked MHT with increased risks of coronary heart disease, invasive breast cancer, stroke, and blood clots. More recent research, however, has disputed those claims and found the risk increases to be minimal. “Many women suffered symptoms and were not treated out of exaggerated fear of side effects of MHT,” Gerbert said. “The pendulum now seems to have swung, with MHT being used in moderation and in appropriate cases, as all medications should be. The two routine tests most commonly associated with a woman’s annual pelvic exam are the Pap test, used to check for cancerous and precancerous cells in the cervix, and the mammogram, the breast cancer screening that begins for most average-risk women at age 40. Postmenopausal women might wonder if it’s necessary to continue with both screenings. According to the National Institutes of Health, more than 40 percent of all breast cancers diagnosed are in women aged 65 years or older, with a median age for diagnosis of 62. 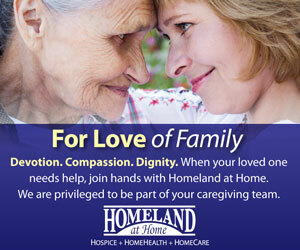 Breast cancer is most frequently diagnosed among women aged 55-64. The need to continue breast cancer screenings via mammography depends largely on a woman’s health status. Women who are over 74 and whose health status leaves them unlikely to live 10 more years may choose to discontinue mammograms. “A simple rule of thumb would be that women who are well enough to consider treatment of a newly diagnosed breast cancer should likely continue mammogram screenings,” Gerbert said. Regular Pap tests are still recommended for women 50-64 years of age, but “some women with a lifelong history of normal Paps may be recommended to have no further pap collections somewhere between 65 and 74 years of age,” Gerbert said.